Porta Vecchio at Mediterra - Naples, Florida. 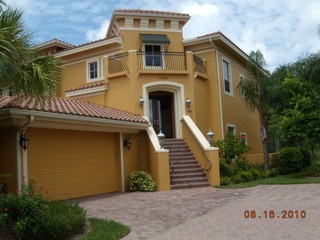 This beautiful 2nd floor coach home is a foreclosure and located in the neighborhood of Porta Vecchio in the beautiful community of Mediterra in North Naples. 3 bedrooms and a den. More than 2,800 square feet under air.